Andrew Shulman, principal cellist with the Los Angeles Chamber Orchestra and faculty member at the University of Southern California (USC) was the first British winner of the United States 'Piatigorsky Artist Award'. Shulman's careers as 'cellist and conductor have taken him all over the world. As soloist, he has directed and performed all the major 'cello concertos with the Philharmonia Orchestra, the Academy of St. Martin-in-the-Fields, the City of Birmingham Symphony, the Los Angeles Philharmonic, the Royal Liverpool Philharmonic, the Utah Symphony, the Pasadena Symphony, the Singapore Symphony and orchestras all over Europe, the United States and the Far East, as well as giving recitals in such places as the Wigmore Hall, London "Debussy's 'Cello Sonata, played with fastidious poetry of phrase and technique" (The Times, London), the Royal Palace in Stockholm, and Buckingham Palace, London (performing 'The Swan' with the Prima Ballerina of the Bolshoi, in the presence of The Prince of Wales). Born into a family of professional musicians (his father played Contrabass and his mother was an opera singer) Shulman studied 'cello and composition at the Royal Academy and the Royal College of Music in London and after winning the major 'cello prizes there, in addition to the "Madame Suggia Gift", the "Royal Society of Arts" prize and the "Countess of Munster" award, went on to take lessons from both William Pleeth and Jacqueline du Pré. At 21 he was appointed solo 'cello of the Royal Liverpool Philharmonic and the Academy of St. Martin-in-the-Fields, before being offered the first chair position with London's Philharmonia Orchestra, at the age of 22, by conductor Riccardo Muti. He has subsequently performed as soloist with Sir Simon Rattle, Giuseppe Sinopoli, Semyon Bychcov, Franz Welser-Möst and Esa-Pekka Salonen, amongst others. He has also recorded over twenty-five CD's as 'cellist of the Britten Quartet (exclusive to EMI Records), Vivaldi 'cello concertos for Virgin Classics "One of the high points of the disc for me is Andrew Shulman's cello playing in the elegiac Concerto in C minor (Vivaldi RV401); and he is sensitively supported by the (London Chamber) Orchestra" (The Gramophone Magazine), Janacek's 'Pohadka', again for EMI, 'cello works by Delius (a world premiere recording) and was solo 'cello on Elton John's 'Candle in the Wind 1997', a tribute to Diana, Princess of Wales, the highest selling single of all time. Shulman was bestowed with an 'Honorary RCM' by The Queen Mother in 1986, and subsequently became a professor at the historic Royal College of Music in London. He has since given masterclasses all over the world, including Western and Eastern Europe, Scandinavia, Russia, The Ukraine, The USA, South America, The Far East and New Zealand. In 1990 he won the prestigious 'Piatigorsky Artist Award' at the New England Conservatory in Boston, and returned to the USA on numerous occasions to teach and give concerts. 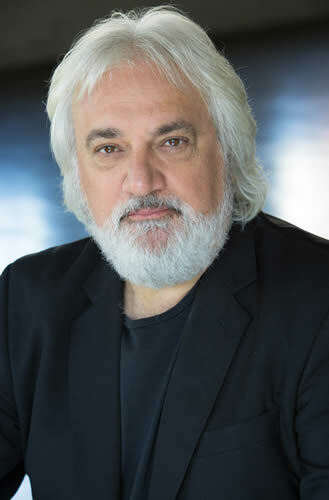 Since coming to Los Angeles he has given many classes, among them those at the University of Southern California (USC), the University of California, Los Angeles (UCLA) and the Corwin Awards Masterclass at the Los Angeles Music Center, as well as being a regular guest at festivals worldwide, including Aspen, Aldeburgh, Bath, Edinburgh, Kuhmo, La Jolla Summerfest, Mainly Mozart, Mons and Sonoma, collaborating with such artists as Jeffrey Kahane, Augustin Hadelich, Sir James Galway, Truls Mork, Lynn Harrell, Cho-Liang Lin, Leif Ove Andsnes, and the late Philip Langridge, Witold Lutoslawski and John Ogden. In the fall of 2011 he joined the faculty of USC and was a guest soloist at the first Piatigorsky International Cello Festival in Los Angeles. As conductor, he has performed extensively in the UK, Germany, Ireland and Scandinavia. Last season he made his US conducting debut with the Los Angeles Chamber Orchestra “The final Allegro con spirito was remarkable for the fantastic ensemble playing in the ascending off-string scale passages that introduce the central theme. Those moments were edgy and virtuosic with each repetition…The work [Walton's Sonata for Strings], comprised mostly of fleet movements was played with exceptional rhythmic vitality and clarity in this performance. The lengthy 3rd movement Lento, where an intense wandering quality almost defies a sense of a time signature, was also effectively rendered with sustained, emotional playing”. His performances have included the symphonies of Beethoven, Brahms, Bruckner, Haydn, Mahler, Mozart, Sibelius and Tchaikovsky "The conductor Andrew Shulman really carried the orchestra along...like a British Leonard Bernstein whose brilliance was still burning in Haydn's 'Philosopher' Symphony. This was of a quality for which one may search but rarely find" (Hannoversche Allgemeine Zeitung) and major orchestral works by Bartok, Debussy, Dvorak, Elgar, Holst, Rachmaninoff, Ravel, Strauss and Stravinsky. He has given performances of Haydn's symphonies under the auspices of H.C. Robbins Landon at the Snape Maltings, Aldeburgh, with the Britten-Pears Orchestra, and has conducted the world premieres of several major works, as well as collaborating with some notable soloists, including Rafael Wallfisch, Colin Carr and Bernard D’Ascoli. He was invited by the Britten-Pears Foundation to conduct the first performance of an important early work by Benjamin Britten, with the Britten-Pears Orchestra at Britten’s ‘Snape Maltings’ in Suffolk, England. He is a regular guest conductor with the Haydn Chamber Orchestra (London), the Brandon Hill Chamber Orchestra (Bristol), the Saloman Orchestra (London), the Jonkoping Orchestra (Sweden), the Ambache Chamber Orchestra (London), the Royal College of Music Symphony Orchestra (London), the Royal College of Music Chamber Orchestra (London), the RCM String Ensemble (London), the Ulster Youth Orchestra (Ireland) and the USC Symphony orchestra (Los Angeles) as well as directing the Academy of St. Martin-in-the-Fields and the London Chamber Orchestra in concerto performances from the solo cello chair. In the field of opera, he has conducted Mozart's 'Marriage of Figaro' (1998) and 'Cosi Fan Tutte' (2000) in successful new productions at the Theatre Royal, Bristol. In 1999 he was appointed principal cello of the Los Angeles Philharmonic "The new principal 'cellist, Andrew Shulman, whose influence on the string section is beginning to make itself heard...The 'cellos, brilliantly powerful" (Los Angeles Times) and also resumed his activities as one of the most sought after solo 'cellists working in the TV and Movie music industry. At the end of 2002 he left the Philharmonic in order to expand his solo, chamber music, teaching and conducting activities still further. Between 2008 and 2015 he has recorded many new cello concertos and other works written specially for him (composed by Christopher Stone, Nathaniel Levisay, Maria Newman, Bruce Broughton and Aaron Zigman, amongst others). Shulman also composes, and recently premiered his own ‘Smaller Music For Strings’ in the UK, as well as collaborating with the legendary German rock/classical guitarist Uli Jon Roth in performances in Hollywood, California (playing his electric cello/guitar instrumental 'H.A.N.D', which was a winner in the International Songwriting Competition of 2007). In 2008 he was appointed principal cello of the Los Angeles Chamber Orchestra, and last season he gave several performances of cello concertos by Vivaldi (the C minor and the ‘Double’ for Violin and Cello) and Schumann (the A minor cello concerto) as part of the LACO main series in Los Angeles. The 2010/2011 season saw the beginning of an exciting collaboration with pianist and conductor Jeffrey Kahane, culminating in several performances of the complete works for piano and cello by Beethoven. He conducted two concerts in the Los Angeles Chamber Orchestra main series, performing works by Mozart and Walton "In the masterful hands of Shulman and LACO, the work’s classic properties, one might say its eternal properties came to the fore - Shulman consistently found the through-line in the agitated countermelodies, and from the dark and troubled strains of the opening Allegro to the fierce tempest of the finale, the Orchestra dug in with passion and clarity...A stunning performance" (LA Opening Nights) as well as giving performances of the Elgar Concerto with the Pasadena Symphony "An extraordinary account of Elgar’s melancholy late-Romantic Cello Concerto...Shulman, whose solo part demands nearly 32 minutes of nonstop playing, gave a richly detailed reading. He made judicious use of vibrato, his burnished tone creating a confiding expressiveness" (Los Angeles Times) and a chamber music recital at Walt Disney Concert Hall to celebrate Jeffrey Kahane's 15th year with 'LACO'. He also performed Beethoven sonatas at the Piatigorsky International Cello Festival, Bach at the Zipper Hall, Los Angeles and The Broad Stage in Santa Monica and a recital at the Newman Hall, University of Southern California. As part of the 'Britten 100' celebrations he performed the Britten cello sonata at six recitals together with the premiere of a new sonata by Broughton written specially for the occasion. This season he premieres a new concerto by Broughton and a new work by Zigman, and appears at the La Jolla 'Summerfest', the GMC Chamber Music Festival in Sonoma and the 'Piatigorsky' Festival in Los Angeles. He lives in the Santa Monica mountains with his wife, also a cellist and Alexander Technique teacher, and two children (both musicians too).